Two sides battling to dislodge Saturday League Division One leaders West Pier clash at Sands Lane this weekend. Third-placed Edgehill will take on Hunmanby United, knowing that only a win will do if either side are to maintain the pressure on Pier, who have won all 12 league games so far this season. Pier also have a tricky fixture as they play host to Filey Town, while Whitby Fishermen's Society can edge away from the relegation zone if they can pull off a shock win at second-placed Newlands Park. 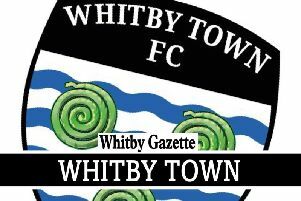 West Pier v Filey Town, Edgehill v Hunmanby United at Hunmanby, Newlands Park v Whitby Fishermen’s Society (3pm ko). Duchess v Goalsports (1pm ko), Seamer Sports Reserves v Edgehill Reserves, Newlands Park Reserves vFC Rosette, Falsgrave Athletic v Snainton, Scalby v Filey Town Reserves. Ayton v Goalsports Reserves, Goldsborough United v Hunmanby United Reserves, Edgehill 3rds v Fishburn Park Reserves, Itis Itis Rovers v Seamer Sports 3rds. FILO v Newlands, Fylingdales v Ayton. West Pier v Trafalgar, Cayton v Roscoes Bar.